After a four-year absence, Randy returns to EVE Online's galaxy of internet spaceships and rampant scam artistry. This series depicts some of the things he’s seeing, and some of their parallels to life in general. 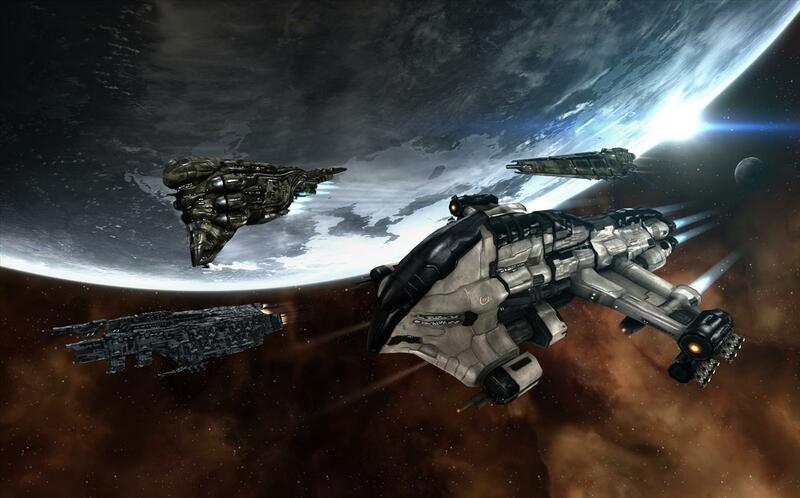 You may have heard some of the statistics about EVE Online. Five hundred thousand paying subscribers. Seven thousand solar systems to explore. Fifty thousand concurrent users at any given time. One super server to rule them all. Nevertheless, if you let it, the New Eden star cluster can be a lonely place. From the get go, I need a corporation of other players, a guild. I need an in-game job to give me a little direction, a little focus. When it comes to massively multiplayer online games, I get stuck in a cul-de-sac of boring self-absorption. I know this about myself. I combat my hermitizing tendencies every time I log in. 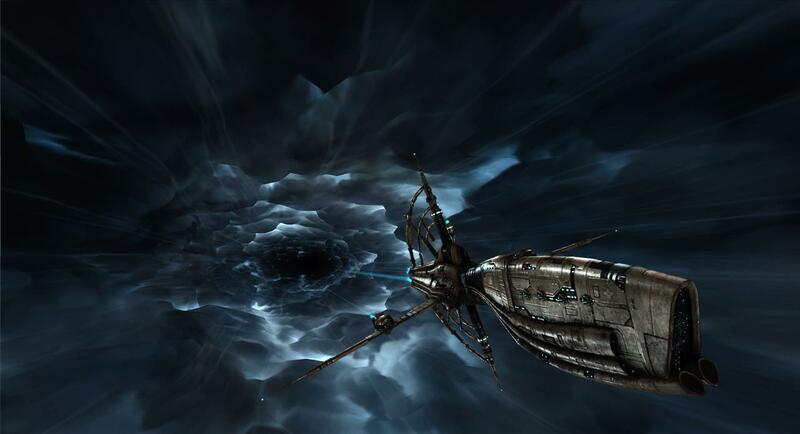 EVE Online is a massively multiplayer online role-playing game. Despite having the word “game” right there in the genre title, many people say EVE is a lot of work. The people that play it admit it’s a lot of work, too. Many people that won’t play it--or no longer play it--might say it’s entirely too much work altogether. “Why would I play a game that reminds me of a job?” Very good question. With me, however, gaming imitates life: I go where the work is. But first, the learning curve. EVE has one of those, too, though it’s often hatefully or lovingly referred to as a learning cliff, rather than a curve. So: tutorials. I don’t like tutorials. I grew up in ‘80s arcades, where the only tutorial you got was to look over the shoulder of somebody else already playing the game. Sometimes you were lucky enough to have a panel of instructions on the left and right-hand side of the screen. And sometimes you had a couple minutes to study those panels if there weren't already a row of other people's quarters lined up on the panel. But those arcades weren’t EVE, which is a game born out of the ‘90s PC gaming tradition; a tradition where video games, in large part, were measured by the thickness of their instruction manuals. EVE’s official guide is 406 pages, if you’re keeping score at home. That’s a light summer beach read for fast readers like my wife. But not me. I don’t read faster than my talking-out-loud speed. It’s been four years since my last foray into New Eden. I’m surprised by two things: one, how much things have changed, and two, how much they've stayed the same. The existence of a much more robust tutorial--or set of tutorials, I should say--is the biggest deal. The tutorials don’t reduce EVE's complexity. Quite the contrary. 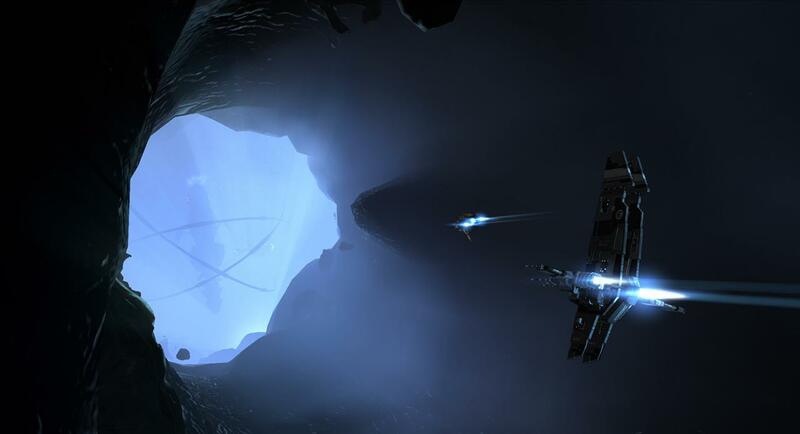 The tutorials, rather, open new doors for players that might otherwise ignore that complexity. Four years ago, when the tutorial was barely more than a pat on the behind and the developers saying, “Good luck, kid,” I didn't do anything much more involved than run sparsely written missions and sit in asteroid belts with mining lasers pointed at big rocks. Today, I’m not any smarter than that guy from four years ago, but beyond running combat missions and mining, I’ve gotten my hands dirty with exploration, manufacturing, and trading. All this, thanks to multiple tutorial threads that each run eight or nine missions deep. That’s the biggest change to EVE. Not the complexity, because it’s still there. Sure, there’s been balancing and rebalancing of this or that issue, but it’s still 100 percent the game it was four or even seven years ago. Pun intended, EVE was designed in a vacuum. It’s irreverent of MMO designs that preceded it, and seemingly ignores every perceived improvement in the genre ever since. And that’s a good thing. EVE has never chased anyone’s tail except its own. Meanwhile, in real life, I remember my first 90 days at Timber Products Co., my current job. I've worked there for nine months now. But the tutorials were killer. Those days challenged me mentally, engaged me professionally, but duly rewarded me. “Randy, you got a minute?” my boss said recently, in a deeper voice than usual. I walked across the hall and stepped into his small office, taking a seat. He sat on the other side of his oak desk, his eyes shifting between me and his dual monitors. Between us was 20 or 30 Post-It Notes of his feverish handwriting, and half a filing cabinet’s worth of manilla folders in stacks of varying heights. The stacks looked like a monotone stereo equalizer. “--Which means my days here are numbered,” I said. I laughed because I deflect issues like these, issues like me being let go from a job. My boss was nervous, and that was fair. He's not the firing type. “Hey,” I said. “I was told this job would only last 90 days, if that. But look at us now, nine months later.” I leaned back in the chair and put my hands behind my head. “What you’re saying is, I should continue sabotaging the sprinkler system repairs, and that'll lengthen my time here” I said. We laughed. “But this is your livelihood, Randy,” he said on my behalf. He continued, telling me that he would’ve kept me if he could, and that I’m not being replaced, they’re creating a new, higher position, it’s just that the temporary job is complete, and he’s sorry to put me in a position of uncertainty, but I might be let go in a month, or perhaps my last day might be tomorrow, he doesn’t know, and again he starts up with the This Is Your Livelihood talk, and he likes me, the boss, Bernie, likes me, accounts payable up front likes me, everybody likes me, and my good attitude has been important because the guy before me didn’t have a good attitude and never showed up on time and always had his earbuds in, so my good attitude has really served me well. I wagered these points had been going through Ron’s head for weeks, and now they were all spilling out over top each other. The truth, though? My boss was letting me go because I'd hit my personal glass ceiling. I'd hit it months ago, and he'd seen it happen. I had zero experience shoving sheets of plywood around a timber mill floor. I didn't study to be a Certified Purchasing Professional. And my laser-focused "monotasking" made far-reaching, long-range project management an unrealistic desk for me to hold down. If I had any one of those three skill sets, my boss and I wouldn't be having this conversation. “--It’s Thursday. But I’ll try not to mentally check-out before whatever day I’m eventually not working here anymore,” and I laughed so he’d know it was still okay to laugh. I stood up and shook his hand and came back to work the next day, a Friday. Because I go where the work is.